Society has come a long way toward accepting gay marriage. Could the same ever be true for my polygamous family? Click here for the rest of the story…. Here’s an interesting archive from the July 10, 1978 Vol. 10 No. 2 edition of People Magazine. 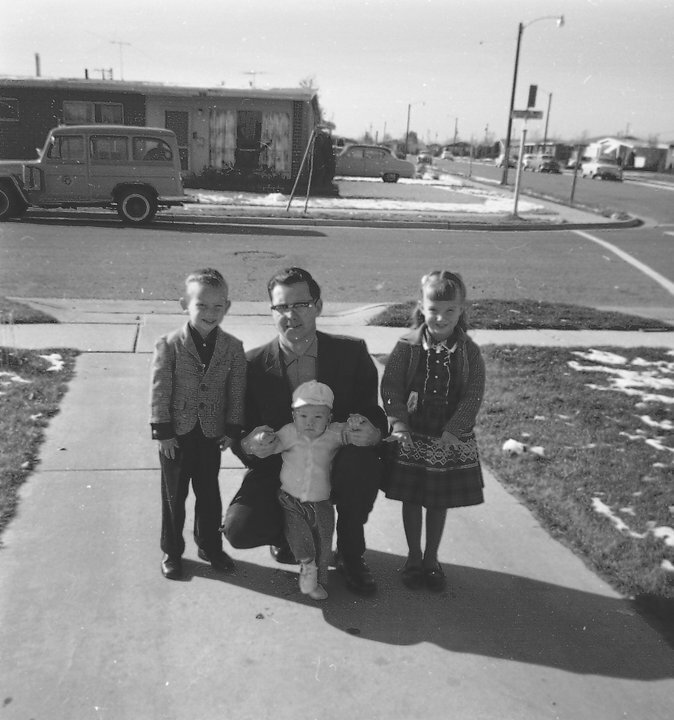 For her Ph.D. thesis in counseling psychology at Northwestern University, Utah-born Vicky Burgess-Olson felt herself drawn to an examination of her Mormon roots and the peculiar institution of early Mormon families—polygamy. The great-great-granddaughter of a man with four wives, Dr. Burgess-Olson, 33, studied the diaries kept by Mormon pioneer women between 1847 and 1885. She followed up her ground-breaking research by editing Sister Saints, a study of 19th-century Mormon women, published by Brigham Young University. A confirmed feminist and mother of two sons and two daughters, Burgess-Olson recently completed summer training at Fort Sam Houston as a major in the U.S. Army Reserve. She is a school psychologist in Provo, Utah, where her husband, Eric Olson, 34, an Egyptologist, teaches at Brigham Young. Dr. Burgess-Olson talked with Linda Witt of PEOPLE about her research. The sarcasm and humor in this piece is just too much to resist sharing here on our blog. JRNorth articulates many of the talking points we’ve attempted to educate our society with. Many who have left the “monogamous” society will appreciate this piece. I don’t know if there is something in the water, or what the reason is, but the mountains certainly seem to attract a great variety of philosophical extremes in the people there. I met so many different people, with so many different philosophies, and that certainly included many different beliefs about marriage. I met some people who believed that marriage was no business of the government, and they followed an aboriginal custom of the Paux (spelling?). It is a simple custom: The two in love would decide if they wanted to marry and would make their covenants to each other and announce their marriage at a community function, or to their families. The following article, written by Kate Heartfield of the ‘Ottawa Citizen’, echoes some of our talking points raised with government officials in both Utah and Arizona concerning the laws against adult consensual polygamy. The polygamy reference case has already made a valuable contribution: It has focused the debate on the question of harm. Apologists for the current law are now having to try to show that polygamy, in and of itself, always and necessarily hurts people. I don’t believe they’re succeeding, but I do see this as a promising first step toward creating a rational and effective legal strategy for dealing with abuse in polygamous communities. In light of our work with the Safety Net organization and our interaction with various social workers and law enforcement (so called) personnel, I thought the attached entry from the Escape to Polygamy Blog by J. R. North would have some interest in a satirical vein. The URL link (true story) referenced in the piece, is the basis for the satire on the abuse suffered from a “monogamous” society. When the mind set of people begins to finally realize that a lifestyle choice doesn’t commit abuse, or a crime and that people do, we may begin to see more tolerance for lifestyle choice. After all, it takes a live person to pull the trigger of a gun, so should we punish guns or the people who misuse them?